North Korea, increasingly isolated from most of the rest of the world, is led by an absolute dictator and a madman with a major goal―he's determined to launch a nuclear attack on the United States. While they have built, and continue to successfully test nuclear bombs, North Korea has yet to develop a ballistic missile with the range necessary to attack America. But their missiles are improving, reaching a point where the U.S. absolutely must respond. What the U.S. doesn't know is that North Korea has made a deal with Iran. In exchange for effective missiles from Iran, they will trade nuclear triggers and fissionable material. An exchange, if it goes through, that will create two new nuclear powers, both with dangerous plans. Dewey Andreas, still reeling from recent revelations about his own past, is ready to retire from the CIA. But he's the only available agent with the skills to carry out the CIA's plan to stop North Korea. The plan is to inject a singular designer poison into the head of the North Korean military and in exchange for the nuclear plans, provide him with the one existing dose of the antidote. But it goes awry when Dewey manages to inject a small amount of the poison into himself. Now, to survive, Dewey must get into North Korea and access the antidote and, while there, thwart the nuclear ambitions of both North Korea and Iran. 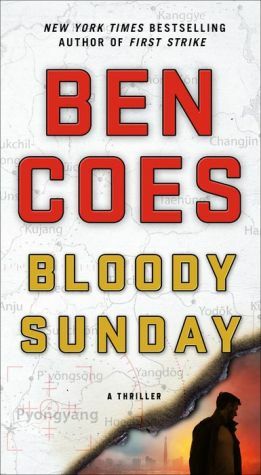 And he has less than 24 hours to do so―in the latest thriller from Ben Coes.